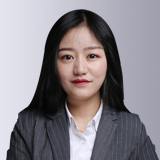 Hanna Yamir is a Consultant at Tiandao hailing from dynamic field. Her work experiences in Africa, Asia, and the US have led her to work with children and high school students on projects that ranged from international adoption placements to navigating admissions processes. She has experience providing tailored mentorship and counseling services to students guiding them in course selection, enrollment, career explorations, adjustment and integration. As a passionate advocate of youth empowerment she is constantly looking for ways to bring out the best in each student through the exploration of meaningful experiences while seeking opportunities to create the next global leaders par excellence. 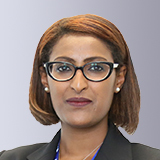 Hanna holds a B.A in Foreign Affairs from the University of Virginia and an M.S in Conflict Analysis and Resolution from George Mason University’s School for Conflict Analysis and Resolution.